Normally I do not post material other than my own. But in this case I feel that this extremely thorough article on Fukushima’s status and measures we might want to consider taking is important for everyone to read. Remember Chandra Levy? Her disappearance following an affair with her congressman was the national obsession in the summer of 2001 – until we awoke one Tuesday morning to see the World Trade Center towers on fire In the summer of 2011 the nation, or at least the nation’s media, seems similarly obsessed with the murder trial of Casey Anthony and the twitter account of a New York congressman. Meanwhile, the crisis at the Fukushima Daichi plant rages on with no resolution in sight and a cold shutdown now projected to be years away. Until last week there was an apparent media blackout on the crisis, although some Americans, this writer included, have followed the status of the reactors daily at Energy News and Fairewinds, the website of nuclear energy expert, Arnie Gundersen. The Fukushima reactors were built by General Electric, which also owns Comcast, NBC, CNBC and MSNBC, so the absence of timely information is not surprising. One article early on in the crisis suggested that the reinsurance on Fukushima was held in part by AIG and Warren Buffet’s Berkshire Hathaway, a supposition I cannot substantiate, but that may be true. There is no doubt that we live in a time when corporate profits trump human safety and well-being, and we are seeing that manifest in this current crisis. The best MSM sources for information over these last months have been Bloomberg, online and on television, and The Wall Street Journal, which have tracked the crisis primarily because it affects investment in Japanese companies. Last week the Japanese government made startling announcements. Three of the five reactors experienced total meltdowns on March 11th, the day of the initial earthquake, and all three reactors have “melted through” leaky containment vessels, molten masses of melted fuel rods now fissioning on the basement floors of those reactors. The statement further confessed that levels of radiation released from the explosions were actually twice as high as initially reported, blaming the miscalculation on bad math. (Indeed in the days after the March explosions plutonium was discovered on the ground in northern California and tritium in Vermont.) In light of these revelations Arnie Gundersen did an interview on CNN last week (scroll down to see video), recommending that Americans wash produce thoroughly and stop drinking milk and eating dairy products. He also suggested that any Americans wealthy enough to relocate to the southern hemisphere consider doing so, adding that Seattle residents were inhaling 5 “hot particles” or “fuel fleas” per day in the weeks following the explosions. Democracy Now, Amy Goodman’s radio and television news program, which has not ignored the story over these months, did an extensive update on yesterday’s broadcast. Should we all be constructing fallout shelters and stockpiling food and water? Should we be shipping our children to South America until the cri sis ends? I have no idea, but neither does anybody else, including the nuclear experts. They know that the crisis is more serious than Chernobyl. The world has never experienced a “china syndrome” event, and there is no way to calculate the potential outcome. 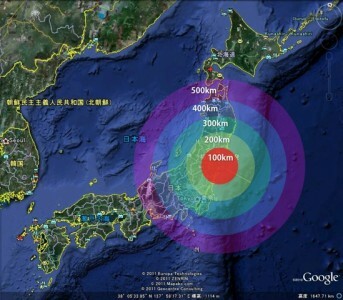 One nuclear physicist who posts regularly at enenews.com suggests that another explosion is unlikely given the current status, but warns that reactor 4 is in danger of collapsing on itself from even a minor earthquake or aftershock. A collapse would negatively alter the scenario and could cause another major release of radioactive particles into the jet stream. Chronic low-level radiation produces a myriad of diseases in animals and humans, and even the IAEA recently admitted that no level of radiation is safe, as radiation is the prime cause of cancers. In any event, radiation exposure from a cross-country flight is in an entirely different category from a “hot particle” that would become an internal emitter once inhaled or ingested. Of the isotopes released in nuclear accidents, the most dangerous are plutonium, strontium 90, which attacks bone tissue, iodine 131 which attacks the thyroid gland, and cesium 137 which attacks soft tissue, including the liver, kidneys and lungs. Of these plutonium is the most lethal — 1/10,000th of a micron will kill a human. 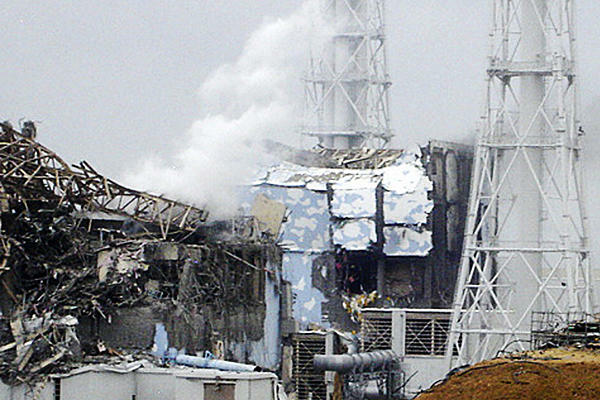 Fukushima’s reactor number 3 illegally used MOX fuel, which is a mixture of uranium, depleted uranium, and plutonium. (The MOX fuel was sold to Japan by the United States during the Reagan administration). The Norwegian Institute (NILU), a Scandinavian organization that measures air quality, akin to our EPA, had, for the first six weeks following the explosions, issued forecast maps for the northern hemisphere which tracked fallout clouds containing radioactive iodine, cesium and xenon, a gas. Those maps were disturbing to all who saw them, as they showed North America literally blanketed in radioactive fallout at levels that vastly exceeded normal background radiation. The EPA announced in early May that it would cease testing air, rainwater, tap water and milk, as iodine 131 levels, the isotope with the shortest half-life, had fallen to normal atmospheric levels (EPA test results here). It has been reported at several websites that both NILU and the EPA were pressured to discontinue testing — or at least to discontinue publication of the test results. The “pressure” has been variously attributed to the U.S. government, the Japanese government and the United Nations, although I have seen no hard evidence to substantiate any of those claims. NILU began to publish more recent and updated historical maps in an alternate hidden file it code-named Zardoz, after the 1970’s sci-fi film about a post-apocalyptic future. The previously hidden maps, showing emergency-level fallout contamination across North America, were subsequently re-published by two 20-something bloggers, here (scroll down the page) and here. The Nuclear Engineering Dept at U.C. Berkeley has continued to test rain water, tap water, raw and commercially made milk, topsoil and an assortment of vegetables. While radiation contamination has dropped significantly since the explosions of March 11, recent tests show new highs in contamination levels of topsoil and milk for cesium 137 and cesium 134. Since only UCB is publishing test results, we cannot know for certain what levels persist in other areas of the country. In early April, the government of France advised that pregnant women and young children avoid milk, soft cheeses and leafy vegetables. No such missive came from the U.S. government – and Western Europe has been receiving only 5% of the fallout that has blanketed North America. Last week Food Processing.com, the website for the U.S. food and beverage industry, published a very informative article entitled “Fukushima in Our Food,” a good overview of contamination that has been recorded in North America since March 11th . 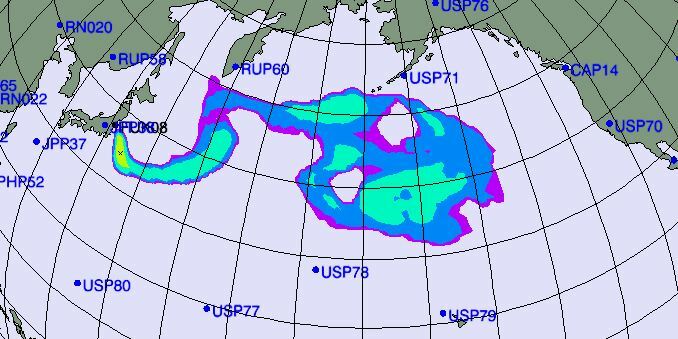 Greenpeace, which conducted tests on marine life outside of Japan’s 12 mile limit last month, found levels of contamination in fish and seaweed to be above legal limits. Yesterday Counterpunch published an article by two doctors on the spike in infant deaths in the U.S. since the explosions at Fukushima, a spike which mimics infant deaths in Europe following the Chernobyl disaster. In North America the contamination comes largely in rainwater, which will, in turn, affect tap water, topsoil, vegetables, meat and dairy products over time. The most vulnerable populations are pregnant women and women planning to become pregnant, infants and young children, the elderly and any person suffering from an immune system-compromising illness, such as AIDS. The most logical preventative measures Americans can and should take are these: Avoid going out in the rain and always carry an umbrella, avoid fresh dairy products, wash all produce, increase intake of potent antioxidants, such as CoQ10 and alpha lipoic acid, and buy a reverse osmosis water filtration system for your home or at least for your kitchen faucet. If you want to be prepared for a possible emergency down the road, also look into N95 face masks, which are widely available, HEPA air filters, and stockpile at least a few weeks of canned and dried food and filtered or spring water sufficient for your household. (Well water and spring water are safe as they are filtered by the clay in the soil.) Consult the links below for methods of protection from and detoxification of radio isotopes. (These methods are also valuable to protect against radiation exposure from x-rays and CT scans).